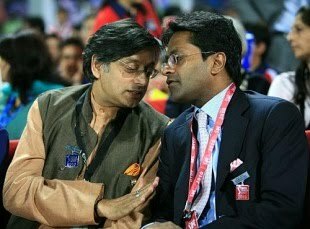 As the verbal spat between Shashi Tharoor and Lalit Modi intensifies on the Kochi IPL cricket team, and both their professional fates hang in balance, here are ten questions for the Minister to come clean. For the IPL Commissioner, it would take a hundred questions. 1. You say your sole aim was to bring an IPL team to Kerala. If so, had you taken into confidence the Kerala Chief Minister, the Kochi MP, the Kerala Cricket Association, or at least your senior Cabinet colleagues from Kerala on your initiative? 2. If you can recall, when did you meet Sunanda Pushkar for the first time? You have mentioned that your acquaintance with her is recent, maybe just months old. If so, was she a friend before her IPL interest was known to you, or is it that your common interest of winning an IPL bid brought you together for the first time? 3. If you keep aside Vivek Venugopal’s 1% paid equity, all other investors including the 75% paid ones and the 25% free ones like Sunanda Pushkar are from outside the state or outside the country. If you acted for Kerala, why didn’t it ever occur to you to stitch together a group of high-profile Keralite or Non-Resident Keralite businessmen? 4. You maintain that your only role here is of mentoring. What exactly is this role? Is it identifying and coaxing wealthy businessmen for investing in this, and identifying your friends and friends’ friends for sweat equity? 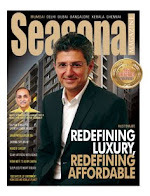 What was the pitch for all of them – was it that this bid would be backed by Shashi Tharoor? 5. You also maintain that your office of Minister of State for External Affairs was never misused. But isn’t the very act of putting your name behind a bid, amounting to throwing your weight around as a Minister? Isn’t it very clear that you threw your weight around as Minister to get things done – both to gather this odd community of investors / benefactors, and to barge into this coterie called IPL? 6. How will you react if it was ultimately proved that covert UAE money is behind this deal to win Kochi, at four times that of what Mukesh Ambani paid for Mumbai, and at a sum even an aggressive business house like the Adanis was unwilling to part with? 7. If you knew Lalit Modi was not the most honest sports manager around, why did you choose to deal with him? Almost every other person in the trade has a problem with Modi. Why didn’t you divulge Modi’s tactics before? Or is it like Modi was ok as long as he was ok with your interests? 8. Who authorized you to act on Kochi’s behalf, and to ‘sell’ Kochi in a way? If a city is this valuable in a national sports franchise arrangement, you surely can’t act without permission, isn’t it? What makes you so confident that only you can act for the benefit of Kochi in this game? 9. 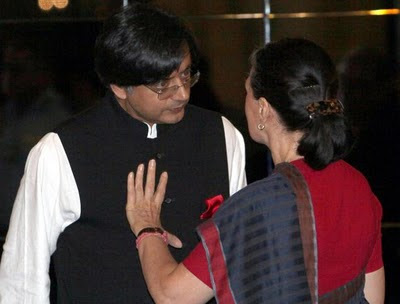 Is Sunanda Pushkar an Indian citizen? What is her qualification / experience in sports franchising? What is the exact service that she rendered in this bid? 10. Who christened the setup as Rendezvous? Also Read: Tharoor Out, Modi Fired, IPL ‘Saved’, But What About BCCI, Betting, & Match Fixing?